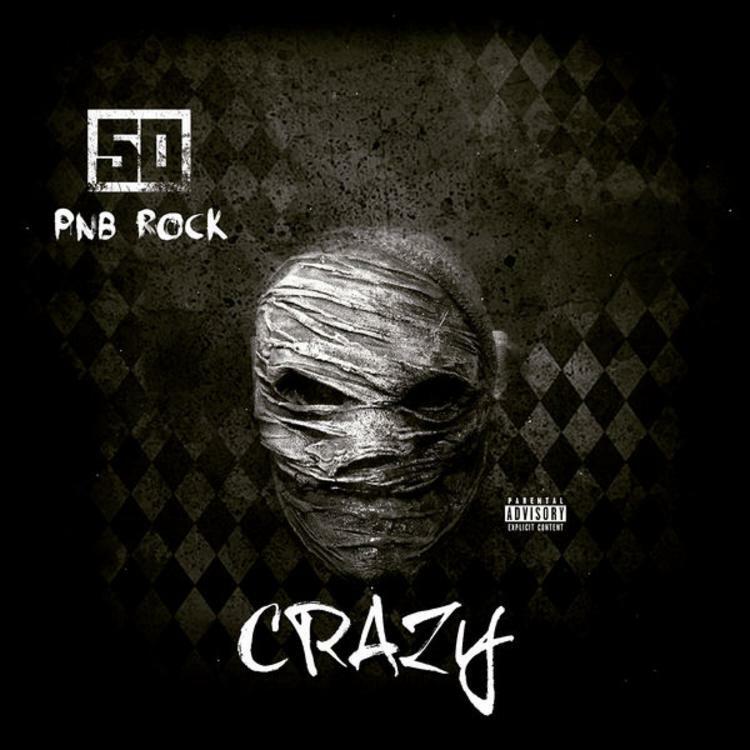 Listen to 50 Cent's "Crazy" new song with PnB Rock. 50 Cent has been teasing his “Crazy” new single with PnB Rock for the past couple months now ever since he first shared a snippet of it on his IG and said it was “coming soon” back in January. Having left us in the dark since then however, the G-Unit CEO decides to change all that today and finally return with the CDQ version of his “Crazy” new single with PnB Rock. With PnB Rock handling the hook with his melodic vocals, 50 Cent delivers a gritty & more introspective record that finds him reflecting on some dark memories in his life. Fif also addresses not speaking with Lloyd Banks anymore either, rapping "called my son twice, he ain't picking up the phone / And Banks, me and him don't even talk no more/ You know 'cause of me, he ain't never had to sell crack/ Never used no knife or squeeze no strap." It’s unclear at the moment on where this will end up, but we know the Queens mogul has two separate projects on the way in his Street King Immortal album and the KANAN: Reloaded mixtape, so it’ll most likely see life on one those two. My inclination says SKI, but time will only tell. Following up “Still Think Im Nothing” with Jeremih, take a listen to the new single and let us know what you think! (Record available on iTunes). The Internet’s Patrick Paige II Drops First Single Ahead Of Debut Album "Letters of Irrelevance"
21 Savage Drops His Freestyle Over Three 6 Mafia's "Who Run It"